The Pegasus Bedstead by Limelight features a combination of wood and metal to provide an stand out finish on the bed frame. The head board and footboard are made from metal to allow for a more intricate design and the wooden legs help to add a more traditional twist onto the frame. This bed frame would suit both contemporary and traditional settings and would fit in very well with kid's rooms and guest rooms. 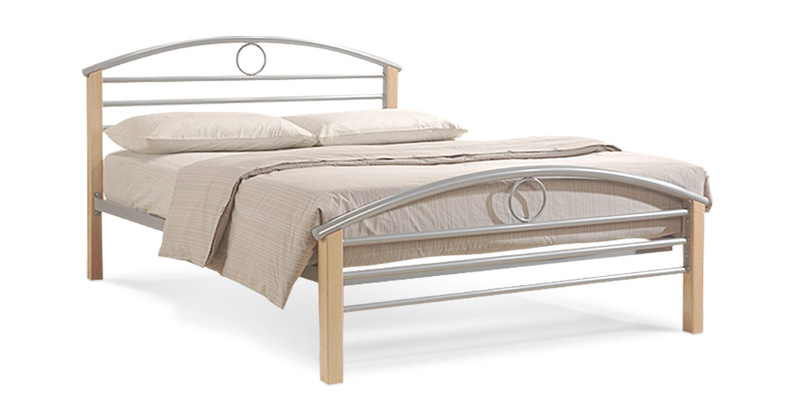 The Pegasus Bedstead by Limelight is made from wood and metal to ensure a well built long lasting bed frame. Please quote this Products's code 09038B to speed up your query if related.